The Visory is a strategic consultancy that makes leading immersive experiences possible. Our platform empowers forward-thinking brands and agencies to connect with audiences in unprecedented ways using Virtual Reality, Augmented Reality, Interactive 360º Video, and AI-Enabled Marketing Experiences. As a seasoned entrepreneur and investor, Alec spent 12+ years building rockstar startup teams and products that realize the future of scalable mobile technologies. Alec began his career at JPMorgan’s media and telecommunications leveraged finance group. While there, he became fascinated by a huge monetization potential of 6.5 billion calls to paid directory assistance every year. So, he founded inFreeDA – a 411 advertiser-sponsored voice targeting platform, backed by Hummer Winblad Venture Partners and acquired by AT&T (T) in 2007. Alec continued to innovate in the mobile space as a founder/CEO of MoVoxx, a leading mobile advertising company that grew from zero to intelligently serving ads into mobile content reaching over 50mm unique U.S. users. Backed by Greycroft Partners, Khosla Ventures, First Round Capital and e.Ventures, MoVoxx was acquired by Adenyo/Motricity (MOTR) in 2010 for $100mm. Alec stayed on as EVP & GM-Mobile Enterprise, where he oversaw 60+ employees and a $35mm+ P&L within global sales strategy, operations and strategic partnerships across five offices in the US and Canada. In 2012, Alec co-founded DMR Partners - an invitation-only consortium for brands and agencies to discover and validate the best adtech-focused startups. DMR grew to 300+ agency and brand executives managing $3.2 billion+ of digital media spend globally. DMR became a premier ad provider matching platform and was acquired by Industry Index, www.industryindex.com in 2016. Afterwards, Alec went on to raise advantEdge Partners, a $20mm India-focused early stage venture cross-border fund. He is also a limited partner and strategic advisor at Eniac Ventures, the first mobile-focused early stage fund; an EIR at Capital Factory in Austin; an advisor to Hearst Ventures on mobile investments; and a regular speaker at conferences such as SXSW, CES, Digital Hollywood, iMedia, Columbia Business School Venture Competition, Advertising Week and OMMA Global. Alec graduated with a double Honors degree in Economics and Business Administration at the Haas School of Business from the University of California, Berkeley. In his spare time, Alec enjoys international travel, cross country biking and wine tasting – though not always in the same order. Theo Skye is an experienced entrepreneur and innovative creative leader with a storied background in advertising, ad tech, product, and partner development. In 2008 Theo co-founded Medialets (acquired by WPP, April 2015), where he spent seven years as Co-founder & Executive Creative Director, leading a team that pioneered mobile rich-media advertising at the dawn of the smartphone era. He personally sparked the mobile advertising revolution by designing and building the world's first commercially-deployed HTML5 advertisements including the World’s First Shakeable Ad® (for Levi’s/Dockers), the world's first transparent overlay ad on mobile (for HBO's True Blood) and the world’s first ad on an iPad (for Chase Sapphire®), all while overseeing the execution of countless award-winning, first-to-market HTML5 mobile ad campaigns that enjoyed consistent attention from the world's top news outlets. As a lead innovator in the mobile space, he contributed heavily to industry working groups at the IAB, forming standards such as MRAID and Flex Ads, that the ad tech industry runs its business on. Theo also helped design and build Medialets' mobile ad serving platform (Servo) that was used by the world's top publisher and agency organizations across the U.S. and Europe. After selling Medialets, Theo took a role at Monotype—the world's leading provider of typographic tools and technologies—where he helped the company capitalize on their opportunities in the digital advertising space. He contributed to and led the development of new products and their go-to-market plans resulting in more than $5M in new revenue their first year alone. Theo also helped deploy these new products by cultivating a network of channel partners whose integrations led to widespread product adoption across Monotype's target customer groups. Prior to Medialets, Theo led creative and web app development teams as a, creative and technical consultant across a wide range of public and private sector clients in the D.C. area, including The National Archives and Records Administration, Marriott, and Verisign. He led design thinking and research programs to perform work involving information architecture, UX, and UI design. This work culminated into the development of custom-built CMS's for large-scale enterprise clients. Julie is a growth marketing and communications strategist specializing in consumer tech launches, hypergrowth transition and crisis management for first-to-market lifestyle brands. She currently serves as Head of Brand and Global Marketing at Waze and works across drivers, governments and influencers to make connected cities a reality. Prior to managing Waze comms during acquisition by Google in June 2013, Julie was both the first PR and Consumer Marketing hire at Groupon, building the global policy and communications departments and navigating through the company's IPO. She shaped policy on controversial deal categories from gun ranges to furriers, served as primary global spokesperson and developed award-winning integrated marketing stunts to accelerate growth. locations at Washington Square Park and Venice Beach. Sean’s interest in VR came about In 2012 when the Oculus Rift Kickstarter program was released. Intrigued by the futuristic device, Sean and two childhood friends put their money together to fund the project, later receiving a developer kit and an early version of the Oculus headset. Having begun from a consumer background in VR, Sean’s interest in the space grew to tinkering with immersive media devices, figuring out how one could extend beyond gaming and and into brand solutions and marketing. As a member of The Visory, Sean spent most of 2016 travelling the world and searching for best-in-class production partners to bring into The Visory's network. David Berkowitz is the chief strategy officer of Sysomos, the insights-driven social platform. His previous roles include serving as chief marketing officer at Publicis Groupe agency MRY and vice president of emerging media at Dentsu agency 360i. Mr. Berkowitz has contributed more than 500 columns to outlets such as Advertising Age, MediaPost, and VentureBeat, and he has penned his Serial Marketer blog since 2005. He has spoken at more than 300 events globally. Prior to joining Nestlé, Kenyata served as Head of Marketing Strategy for Shell Oil, where he was responsible for increasing the marketing capability within the Lubricants’ organization as well as delivering scaled marketing strategies that have direct to consumer impact on both the B2C & B2B businesses. He also spent 11 years at Procter & Gamble in progressive marketing roles on brands including Product Manager for the Tampax business, where he has a patent on Tampax Pearl and led the product re-design for base Tampax. On Crest, Kenyata developed & executed the strategy for African American Marketing. He also had two successful stints on the Old Spice business, where he led the product qualification of the body spray re-stage and later played a significant global leadership role on the now famous brand reinvention of Old Spice. 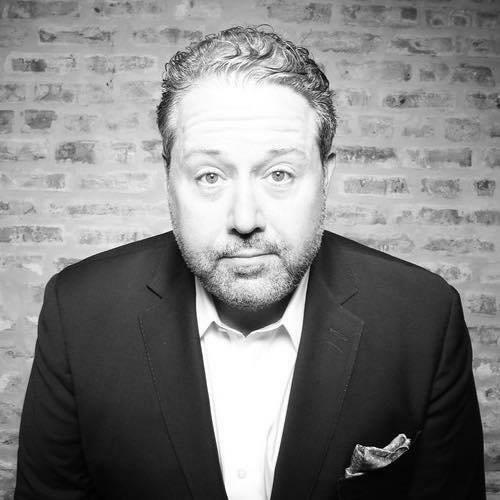 Through Sean’s global leadership roles at Omnicom and Publicis, he has successfully navigated major media evolutions and created sustainable growth for clients, agencies and publishers. This experience arms Sean with a seasoned point-of view as the advertising industry re-engineers to address the challenges faced by today’s marketers, hoping to make sense of the seismic shift to a universe of Digital channels and platforms. Sean serves as Partner to the Chameleon Collective, a global strategic consultancy united around a common purpose of solving meaningful business challenges for their clients. Chameleon is focused on three core offerings: strategy & innovation, business acceleration and talent acquisition. As Chief Innovation Officer and Managing Director of TBWA\CHIAT\DAY, John is charged with furthering the company’s digital and content capabilities, as well as implementing inventive platforms and processes to ensure that innovation is woven into the very fabric of the agency. He is a key leader across departments, while directly overseeing key digital functions, including creative technology, integrated production and social media management and strategy. John previously served as CEO of Ogilvy Malaysia, overseeing several agencies and helping the agency group grow and develop their digital and content capabilities. Prior to joining Ogilvy, he spent four years at Deutsch LA, rising to the role of EVP, Executive Director of the agency’s digital account management group. Former Yahoo!, YouTube, AdMob, and Google executive with over 25 years in advertising sales, mobile marketing, and brand partnerships with fortune 500 companies. Currently advising and investing in companies in Adtech, AR, VR, and Ai spaces as well as focusing on local government, social action, and non-profit projects. Yves is a data scientist and founder and director of the “Data & Analytics” Project at USC’s Entertainment Technology Center, where his team helps the entertainment industry accelerate the deployment of next-generation audience intelligence standards and solutions. Yves is also CEO of AI engineering firm Novamente, which builds neural-symbolic cognitive architectures to solve large-scale enterprise problems, with clients like the CDC, DARPA, Intel, and Lockheed-Martin. Novamente has built the AI architecture for Hanson Robotics’ “Sophia”, profiled on CBS’ 60 Minutes. The Novamente team also manages the OpenCog Foundation, which aims to develop human-level Artificial General Intelligence. At ETC, Yves’ team has focused its research on applying machine intelligence to large problems in the entertainment industry, including with regards to audience intelligence, windowing and scheduling, data storage and representation, and content security. One of his areas of focus is measuring the algorithmic structure of narrative in film and marketing, and its impact on content popularity. His research has helped global brands refocus their narratives around performance. Yves is a complex systems expert with 15 years of experience modeling high-velocity environments and markets for public and private sector clients, and was part of the founding team at Singularity University, a joint venture between Google and NASA, which aims to leverage Artificial Intelligence and other exponential technologies to help solve the world’s greatest problems. Cory Klippsten is a growth strategy advisor for technology startups and venture capital firms. He's operated as a C-level startup exec, raised multiple rounds of venture capital from top investors, and worked for Google, McKinsey, Microsoft and Morgan Stanley. He holds an MBA in Entrepreneurship, Finance and International Business from the University of Chicago. Cory grew up in San Francisco and Seattle, split 15 years between New York and Chicago, and now lives in Los Angeles with his wife and young daughter. His interests include basketball, tennis, history and travel (Istanbul and Barcelona are favorites, but anywhere on the Mediterranean will do). Randy is a 13 year technology industry veteran with extensive experience in the SaaS and media industries. He currently runs a consulting practice in Los Angeles that works with leading brands, agencies, publishers, and technology companies with a focus on emerging technology. Prior Randy led US Sales and Partnerships at Zentrick, an interactive video SaaS platform, where he developed extensive enterprise partnerships and aligned the platform to serve AdTech partners in novel and scalable ways. Randy was also a key early employee at Thismoment, a digital storytelling platform, where he closed the company’s largest partnerships and went on to lead Business Development efforts. As the father of the OpenCog Cognitive Architecture framework, and with nearly 30 years doing AI R&D, Ben is considered one of the top pioneers and thought leaders in this field. A renowned mathematician, scientist and engineer, Ben has decades of experience researching Artificial General Intelligence (AGI) and engineering breakthrough AI systems for such organizations as DARPA, IARPA, Hanson Robotics and hedge fund Aidyia. He is the chairman of the Artificial Intelligence Society, senior research faculty in the Artificial Brain Lab at Xiamen University, and one of the founding faculty at Singularity University. Ben has a PhD in mathematics from Temple University and is based in Hong Kong. Jared Hopfer is Chief Revenue Officer t Brand Innovators, which is a community of senior brand marketers from Fortune 500 companies that comes together for continuing digital education. Prior to his tenure with Brand Innovators, Jared spent 5 years at the forefront of the mobile advertising industry. He was an early employee at Quattro Wireless (acquired by Apple) and founded Mobext, the mobile marketing arm of Havas, in New York. Under Jared’s leadership, Mobext won awards for Best Mobile Branding Campaign of the Year and Mobile Agency of the Year. He has also spent time at NinthDecimal, a leader in location-based marketing, as well as three years at AOL, where he helped lead one of their first performance marketin programs. Jared is a graduate of Purdue University and has been quoted in a variety of publications including Bloomberg, Advertising Age and MediaPost. Ben Carolan is a growth strategy specialist with over a decade of experience helping early stage technology companies reach the next level of success. Ben is currently the Vice President of Strategic Development for one of Austin's hottest new technology startups Aceable. Prior to joining Aceable, Ben spent the past 5 years as EVP of TabbedOut, an Austin-based industry leader in the mobile payment space, where he played a pivotal role in developing monetization and growth strategies resulting in both Series B and C rounds. During his tenure at TabbedOut, Ben helped pioneer new and innovative ways for CPG's to connect to their customers and prospects through real-time on-premise payment data. Our unparalleled global network combines the strengths of 300+ hand-picked immersive technology teams to efficiently execute every stage of your projects. With a finger on the pulse of the immersive space, we know what's possible, what's been done, what's next, and how to create maximum impact. Using our platform, we RFP our exclusive network of over 300 immersive teams and receive detailed and informative responses within 48 hours. You don't need another vendor to manage! We take care of for you, ushering every project through to completion, on time and as expected. Using the largest-ever portfolio of immersive engagements to date, we accurately measure the impact of your projects against prior work. Solutions from The Visory elastically scale for every need—from last-minute executions to large-scale, long-term installations.